Living in the UK with all the cold temperatures that we experience you would think that winter sports would be in abundance! Funnily enough when I used to live in Melbourne I was significantly closer to a substantial ski field (two hour drive) than what I have ever been since I relocated back to the UK and for myself and my partner as avid skiers we find it difficult to find the time to get away and really head out to the slopes. Now don’t get me wrong, Europe plays host to some of the most amazing ski fields in the world and when we can we try and head over there as much as possible. But unfortunately without unlimited leave and money constraints, this is somewhat difficult and we often find ourselves wishing that there was something just a little closer to home. And although it’s a far cry from the slopes of the French Alps, it is a great way to get that hit of skiing when you aren’t able to make it over to France for a weekend. 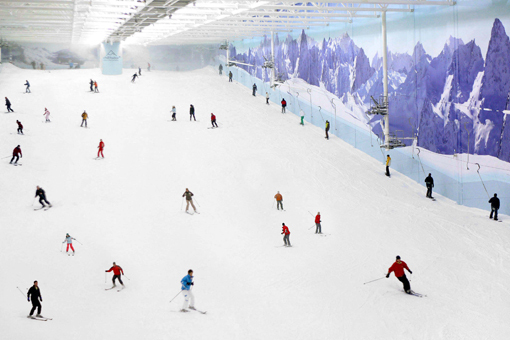 Chill Factore is just one of a number of indoor skiing slopes which are designed to allow you to get your skis out and practice downhill skiing in a controlled indoor environment. If you are a beginner then you may find that the tough slopes of the French Alps are a hard place to learn, especially when you are surrounded by skiers who may be far more advanced than you and as such you could find that the lessons which are offered by Chill Factore are a much better way to enter the skiing environment. Generally if you are starting something new then you want to be able to do it in a controlled environment where you are able to have some type of control over the people around you and the circumstances that you are learning in, this is one situation where Chill Factore can be absolutely invaluable to skiers and snowboarders – the ability to learn a skill in a very controlled environment. Learning to ski when you are out on a mountain can be a very daunting task and one which presents a number of challenges to anyone who attempts it. The benefit that you are offered through indoor ski areas is that the entire environment is controlled and therefore you have the time and space that you need to learn effectively, as well as being surrounded by good quality ski instructors who are there to help you on your way. In addition, indoor ski areas can offer you a range of ski equipment to hire which is of a good standard to help you learn. So if you are looking to get the full ski experience from the comfort of a place near your home then have a look at what your local indoor ski centre can offer you. 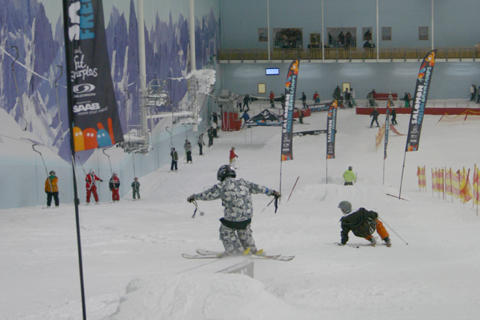 This entry was posted in Europe, Skiing, Travel, Winter Sports and tagged Chill Factore, Indoor Skiing, UK. Bookmark the permalink.